Congress returns from recess next week – have you downloaded Activism For All: Breast Cancer Action’s Legislative Toolkit? Thank you to everyone who’s already downloaded our toolkit and taken action. If you haven’t, now’s the time! Learn how to hold your lawmakers accountable and demand health justice for all women at risk of and living with breast cancer. It’s the last week of congressional recess and it’s time to step up the grassroots pressure. 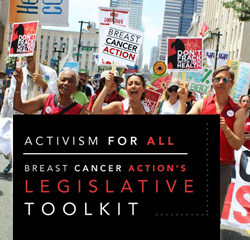 Download Activism For All: Breast Cancer Action’s Legislative Toolkit for step-by-step advice on how to find your representative and senator, what to include in a letter to your lawmakers, how to set up a meeting with your legislator, and much more. 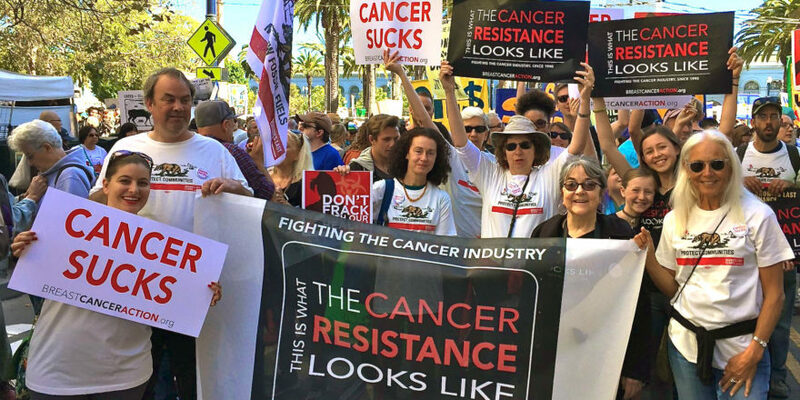 From first-time activists to experienced lobbyists, if you want to make your voice heard on critical issues related to breast cancer this resource is for you. Feel free to reach out with any questions or requests for additional resources. P.S. The high resolution print version of our toolkit is a big file and it takes a minute to download. If you have a slow internet connection, you may need to wait a few seconds longer! ← Oil and Fruit Don’t Mix! Sign the Petition Today!